Looking for things to do in Vorarlberg, Austria, in summer? From world-class hiking and biking to the incredible design and culture trails, we've rounded up our favourite summer activities in this stunning alpine region. You might think Austria's alpine region is all about the enchanting winter season; snow-dusted mountains, epic ski runs, and toasty fires to warm up in front of at the end of the day. But here's a little secret we've been dying to let you in on: summer in Vorarlberg is just as magical (and in our eyes - even moreso!). See, as these mountains shrug off their white winter coats and the summer sun begins to peek over the ridge lines again, the area is totally transformed with new life. The snow drips away into the freshest of streams, lush meadows spring to life with thick carpets of wildflowers and greenery, and the many hiking and mountain biking trails are open and ready for adventures again. The days are pleasant and mild, which make them perfect for outdoor adventures - while culture buffs will find plenty to keep them occupied. From getting out on the hiking trails and biking through the Bregenzerwald to enjoying the local design on display at the Werkraumhaus and the unique bus stops of Krumbach, there's something for everybody! 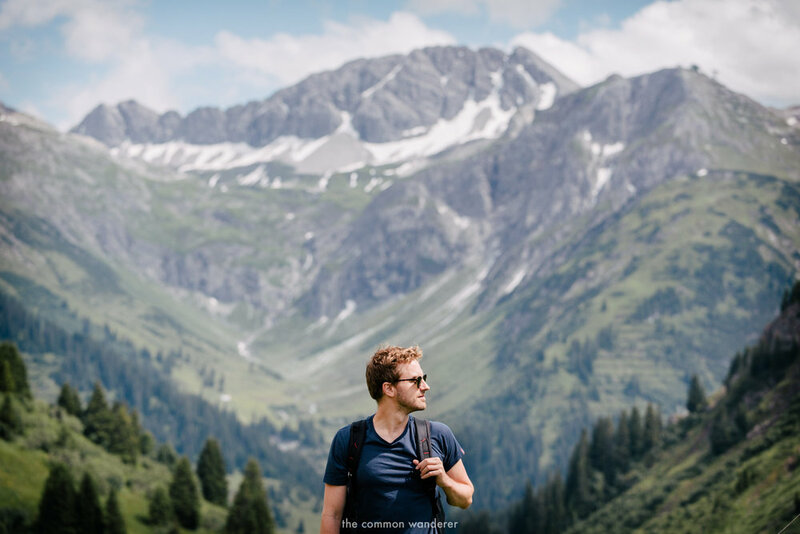 Here are our favourite things to see and do in Vorarlberg during summer. Sometimes, it's the simplest of things that make for the greatest memories. Spending the night in a Bivouac, a basic mountain refuge perched high on the peak of Steirlochkopf (above Lech am Arlberg), left us utterly speechless and was undoubtedly one of our favourite things to do in Vorarlberg. Normally, a wooden cabin with no electricity or sanitary facilities wouldn't fill us with such excitement, but the outrageous panorama over the surrounding mountains and valleys is well worth the strenuous hike and abject weather we encountered on our way to the summit. Traditionally, Bivouacs have been emergency shelters, a small, purpose built cabin for humans to hide in inclement weather, like the blizzards or heavy storms that can be common to this area. This particular hut is intended to be more of a ‘return to nature’ affair; a bookable experience that sees guests enjoy a secluded no-frills night with no neighbours but the elements (and a few mountain goats). Void of any mobile reception, all we could do was sit and talk, something we've not done properly in years (no, seriously), and watch the ever-changing horizon through the narrow glass windows. After tucking into a dinner of trusty salad rolls, we topped off our minimalist evening with a shot of Tannenlikor, a locally produced alcohol made from silver fir. The sleep itself was achingly peaceful, although admittedly rather hard on the bones (bunks are wood with a thin sleeping mat), and the wake-up, although misty, was, well, perfect. We could've stayed up there for another few nights (heck, we'd still like to be there now), and we're already planning our return in 2019. The bivouac is equipped for up to 4 people and can be booked for one night, directly through the Lech am Arlberg Tourist Office. Once confirmed, you'll need to pick up the key from the tourism office, before your hike. There is only one key, so guard it with your life, and if you leave the bivouac, always take it with you! A returnable deposit of €100 is payable for the key, while you will need to pay €20 towards maintenance. The Vorarlberg region has a rich history of craftsmanship and architecture, and this is no more evident than the BUS:STOP Krumbach installation. Now, we know what you're thinking... a bus stop is a bus stop, right? Transport shelters could be called many a thing; but they couldn't possibly be called 'cool'?! In Krumbach, Vorarlberg, they absolutely, unequivocally, 100% are. It's worth noting here that the bus network in Vorarlberg is exceptionally good. It runs regularly, connects most areas, and basically is just a far more efficient system than what our own hometown, Melbourne, has ever been able to manage. Locals pay a reasonable amount to have great service and in an effort to reward this, a project was launched to design seven bus stops in the region. Seven architectural firms from Russia, Spain, Belgium, Norway, Japan, China and Chile were challenged to create a bus stop each that protected passengers from the elements, while also allowing drivers to see them easily, and reflecting the local area. The bus stops were built in 2014 in close cooperation with local craftsmen and regional architects to make sure they maintained unique local and historical elements. The result was seven unique, architecturally designed, and dare we say it, bloody awesome bus stops. If you're after more information, each bus stop has a signpost detailing the concepts, architects and more. We'll admit it, we had almost no idea of the rich architectural and design culture of Voralberg until we visited the Werkraumhaus. It turns out that an appreciation for artisanal craftsmanship and the built environment has been at the heart of Vorarlberg for centuries, and in 1999 the Werkraum, an association of local craftspeople was established. The association brings together design practitioners from all walks of life under one roof, and provides a platform for design innovation in the region. Located in the town of Andelsbuch, the Werkraumhaus is the association's home; a design and handicraft space which celebrates the incredible design, architecture and craftsmanship evident in the Bregenzerwald region. 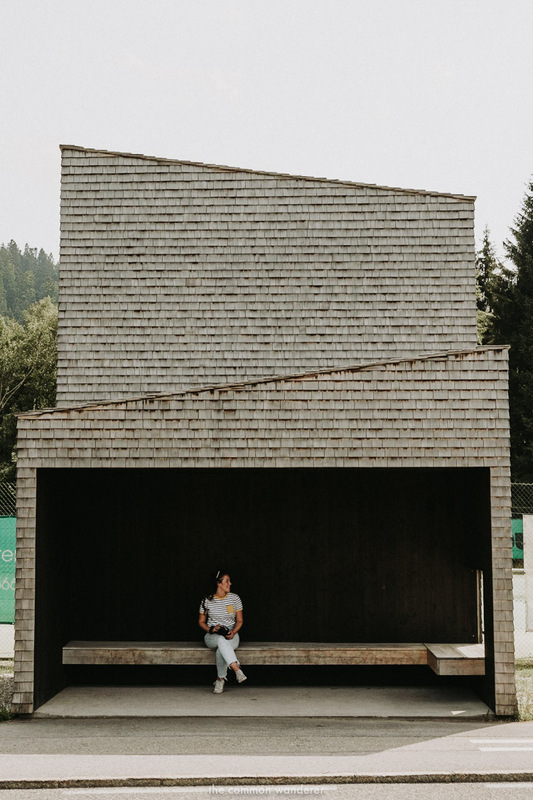 The building, designed by internationally renowned Swiss architect Peter Zumthor, is based on two ideas; one - a space where the design and craftsmanship culture of Bregenzerwald can be showcased, and two - a meeting place for creative locals to meet and work on ideas. Here, particularly on one of the communal tables at lunch time, you'll find construction workers and designers sharing ideas, students mixing with established creatives, and the buzz of an innovative and forward-thinking environment. Opened in 2013, and with exhibitions occurring quarterly, Werkraumhaus is definitely a top thing to do in Vorarlberg for those interested in the culture elements of the region. Cost | €7.50 per adult. Guided tours available. Hiking and art... not exactly two things we'd expected to see side by side in Vorarlberg, but this is a place where design and nature go hand-in-hand. In the hills surrounding Lech am Alberg lies the magnificent hiking trail 'Der Grüne Ring', or 'The Green Ring'. The three-stage hike starts above Lech at the Rüfikopf cable car, passing through some seriously impressive Alpine scenery before finishing in near the village of Oberlech, above Lech town. During the summer months, you can also expect to see art in an alpine context along this trail, thanks to the nine 'doors' opening out along the route. Each door was designed by international artists, who took the concept of entering and leaving spaces, and created a series of beautifully unique doors. We LOVE the concept, as art in nature is such an interesting idea, and it ties perfectly with our passion for stepping back into nature. It also helps that mother nature created such an incredible canvas and backdrop to open the doors to! For those looking to do the whole three-day hike, we recommend basing yourself in Lech and enjoying each of the three days from there. Tips | Pack for all seasons, sign the log books for added safety, bring water and snacks. Take all your rubbish with you, too! We only wake up at 3:30am for two things; hiking and photography. Fortunately, we were able to do both on our incredible sunrise hike up Kanisfluh mountain. Kanisfluh is the Bregenzerwald's most striking mountain; one side a sheer rock face to the valley below, the other a more gentle slop with beautiful, green meadows. The kind of mountain we live for! Most travellers and photographers will attest to the fact that getting the best views generally requires a super early wake-up call. Which is exactly how we found ourselves standing outside the Au Schoppernau visitors centre at 3:30am to greet out guide before driving to our starting point. The initial part of the hike was easy, if not a slight struggle in the dark. However, things do start to get a little more hectic as the steep ascent up the massif begins. While our muscles strained with each step up, the surrounding mountains and valleys began to appear in the half-light, providing some of the most incredible silhouettes and photography opportunities. Fortunately, we made it to the summit in time for sunrise, the views of which were so beautiful it brought a tear to Mim's eye (read all about it here). After a good 30mins to soak in all the beauty, we then headed back to the carpark. The hike down was easy, with a few stops at various epic viewpoints before finally making it down in time for a delicious breakfast. The sunrise hike to Kanisfluh is definitely one of the best things to do in Voralberg, and we recommend hiking with a guide. Although the trail is marked, during the early morning walk it's easy to get lost, even with a head torch. You can organise a guide with your hotel, or through Hotel Rössle in Au. Heaven. That's the only way we can describe Käsespätzle. Käsespätzle is a dish famous in the region of Vorarlberg (and surrounding alpine areas) and is made up of hot spätzle (small egg noodles) and grated cheese (Bergkäse and Räßkäse in Vorarlberg), topped with fried onions. Accompanied by a side dish of salad, it's one very tasty and filling meal. The best place to eat Käsespätzle in the region is at Jagdgasthaus, a restaurant and hotel well off the beaten track in Schönenbach. Handmade from a family recipe, the käsespätzle is so fresh that you won't be able to stop... like us. Jagdgasthaus is also famous amongst locals as a place to escape - there's no phone reception here, so it's a great place to eat great food, enjoy a beer, and actually talk to your friends. There's really no better feeling than flying down a mountainside, adrenalin pumping as you weave along steep paths towards the valley below (and towards a tasty Apfelstrudel). As the winter snow melts and the seasons change, the hills in Vorarlberg become a mountain biking paradise, with over 1,500kms of marked mountain bike trails. The trails vary in levels and suitable for beginners right through to advanced. If you haven't done much mountain biking before, we can highly recommend the beginner's trail, which takes you through the stunning villages, mountain streams, and into some of Bregenzerwald's most beautiful forested areas. While there are many notable areas within Vorarlberg for mountain biking, including in the Brandnertal, in Alpenstadt Bludenz and in the Klostertal, we did ours in Bregenzerwald at the Bregenzerwald bike school (Die Bike Schule at the Hotel Roessle). They offer 12 different full-day and half-day tours a week, as well as riding technique courses, bike camps, racing bike tours, e-bike tours and cycling programmes for adults and children. Throughout our time in Vorarlberg, whenever we mentioned Lake Körbersee to a local, they'd nod with approval and mention it was voted Austria's most beautiful place in 2017/18. It's definitely not hard to see why. After hiking from Hochkrumbach Saloberlifte car park, we slowly made our way through the meadows full of wildflowers before finally getting our first glimpse of Körbersee. It didn't disappoint - the darkest blue water surrounded by emerald forests and colourful plains, with the imposing Mohnenfluh as the backdrop. Despite a solid two hours of rain, which made for the perfect beer/apfelstrudel stop at Berghotel Körbersee, the hike was absolutely stunning. To make the most out of your day, continue the hike through to Lech (or vice versa). The scenery is incredible and the route is very well signposted, so you shouldn't have any issues finding your own way; just remember to bring water and sunscreen - we managed to get very burnt after forgetting our sunscreen at the hotel. Due to the ridiculously good public transport in Vorarlberg, it's easy to get to the start of the hike via a bus from Au or Lech - just jump out at Hochkrumbach Saloberlifte stop, or where every other person will get off. Tips | Pack for all seasons, bring water and snacks. Pack an extra bag to carry your rubbish out with you. The Umgang Bregenzerwald trails celebrate the rich design and architectural heritage that's been a feature of local life in Vorarlberg since the 11th century. Here, modern architecture mixes seamlessly with tradition and heritage, and there's a commitment to innovative design that really took us by surprise. 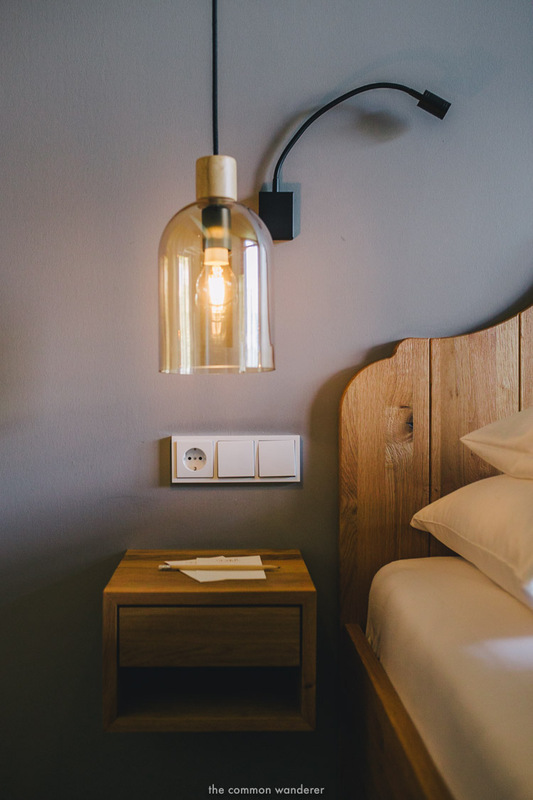 Located just outside of Lech am Arlberg in the village of Zug is Hotel Stäfeli, a hotel which abides by the principle "Zeit Wert Geben", loosely translated as "your time is worthwhile". Here, it's all about switching off, slowing down and taking time for youself. Phones are shunned, conversation encouraged, and relaxation essential. So basically the perfect place after a long day's hiking. We spent two wonderful nights here, enjoying delicious food (you can make your own waffles for breakfast - Mim's dream), chilling out in the 'ZeitRaum' (time room - where board games and books are the order of the day! ), and enjoying the hiking opportunities right outside their doorstep. Vorarlberg might be the smallest state in Austria, but we'd argue that it's definitely one of the best! This is the most western state in the country, right at the edge of Lake Constance. 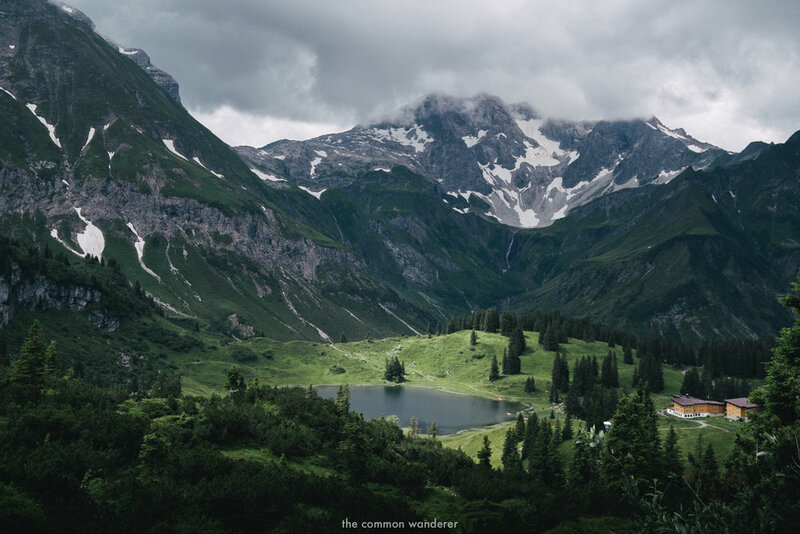 The little slice of alpine heaven shares its borders with Liechtenstein, Germany and Switzerland (hence flying into nearby Zurich is actually a WAY better journey than flying to Vienna and taking a 7-hour train!). The easiest option we found was actually to fly into Zurich airport, and then take a train/s down to Bregenz. It's only a 2-hour train ride from Zurich airport, and sure beats a 7-hour train ride from Vienna airport on the other side of the country! Vorarlberg has an insanely good public transport system connecting each region to the next, which means its entirely possible for you to travel the region without having to hire a car (an absolute bonus in our view!). The Bregenzerwald Guest Card (available to all visitors who spend more than 3 nights in the region) will give you access to all public buses, cable cars, and special partner offers in various locations too. In Lech, the 'My Lech' card offers similar benefits.